Kraftin' Kimmie Stamps: Join us for another Wonderful Wednesday! Whimsical rubber stamps that make you smile! Join us for another Wonderful Wednesday! Welcome to another Wonderful Wednesday challenge!! We hope you can play along!! 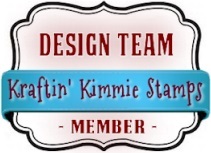 As always....it's ANYTHING GOES so break out your Kraftin' Kimmie Stamps and get krafty!! We want EVERYONE to be able to play along so your submission can use ANY stamp and can be any theme, any style, any design and it can be a card, a scrapbook page, an altered item....you name it!! It must be a NEW creation and you can enter on this post until December 23rd at midnight! At the end of the month one random winner will be chosen from all the submissions for the whole month and will receive a $20 Gift Card to the shop!!! What do you think.....wanna WIN?? Let's see your krafty stuff!! As some of you may know Kraftin Kimmie was one of the Super Sponsors of the Holiday Coffee Blog Hop, and we'd like to take a quick moment to congratulate Maureen Rauchfuss on winning the $25 gift cert to the Krafty Store!! And if you hadn't yet realized the December release is now up in the store and ready for your shopping pleasure!! Hi everyone! Deborah here today for this Wonderful Wednesday! 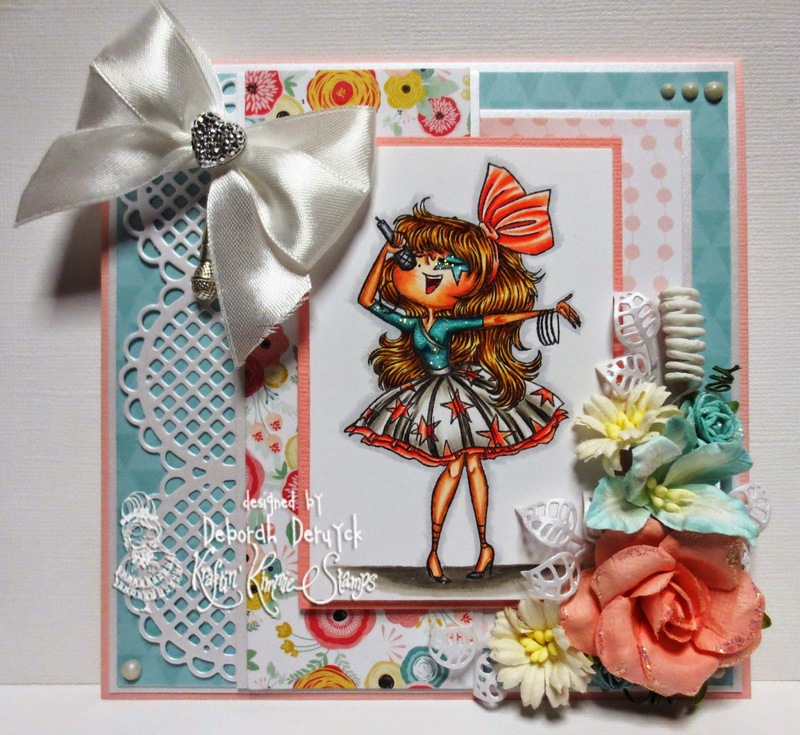 I've made this card with the amazing new stamp "Rock Star" by our fabulous artist Annie Rodrigue. She does remind me of my niece, who is a singer in a rockband and alone. I finally found the perfect stamp for her! Saw your stamps at the Canadian Scrapbooker Magazine's giveaway. What fun giveaway and so great of you to sponsor todays giveaway. April Krafty Peeks.....Day ONE! Good in the Woods and Accessories! April Krafty Peeks....Day THREE! It's a Mystery! BLOG DESIGN BY BECKY PEARCE. The materials presented herein, including art, photos and design elements are copyrighted and expressly belong to KKS, unless credited otherwise; and may not be directly copied for publication or submissions. All rights reserved.